In the years immediately following the fall of apartheid some critics questioned what it would mean for South African literature. How could a literature in which politics and writing were hopelessly intertwined break free of old ideological certainties? Would writers defined by their opposition to repression be able to adapt? And after two generations as symbols of moral and intellectual resistance, what place would writers have in the new South Africa? As is so often the case, they turned out to be the wrong questions. Not just because the two decades since the fall of apartheid have seen the emergence of a new South African literature, but because they made the mistake of assuming the past could be swept away, when in fact its legacy continues to shape and distort not just contemporary South African writing but South African society more generally. 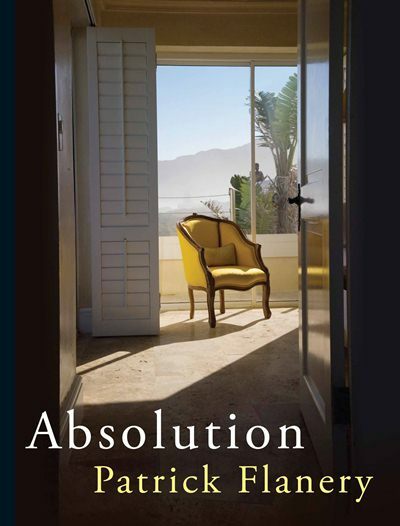 This question of apartheid’s legacy lies at the heart of Patrick Flanery’s exceptional debut novel, Absolution, which explores not just the ways in which the traumas of apartheid linger in contemporary South African society, but asks difficult and often troubling questions about the relationship between power and truth. The novel centres on the relationship between acclaimed septuagenarian novelist Clare Wald and Sam Leroux, a young academic commissioned to write her biography. For Sam it is, at least ostensibly, the chance of a lifetime, the project that will make his name. For Clare it is an unwelcome and intrusive distraction. Yet as quickly becomes apparent all is not what it seems. For Sam the project is not just professional but personal, a way of coming to grips with his own past, and in particular the fate of his parents and his unspoken connection to Clare and her family. For Clare it is something more complex again: a way of reconnecting with her past, and in particular her activist daughter who disappeared during the struggle, but of seeking absolution for her part in the death of her sister, the wife of a Nationalist politician. The set-up is unashamedly stagy, as is more than a little of the early sparring between Sam and Clare. Yet as quickly becomes apparent, Flanery is attempting more than the usual settling of scores. Instead, as the relationship between Sam and Clare changes and deepens the novel begins to ask increasingly uncomfortable questions, not just about complicity, in particular Clare’s, or the responsibilities of the individual in an oppressive society, but about the human cost of what occurred, and perhaps more importantly, what sense is to be made of that cost. These are powerful and often disturbing questions, not least because the portrait the novel paints of contemporary South Africa is so brutally unsentimental. Again and again details give the reader pause: random deaths in the street, panic buttons in bedrooms, hostile and corrupt police, even as Flanery (an American by birth) satirises that response with acid observations about nervous Americans abroad. But they are made even more unsettling by the manner in which the novel complicates the relationship between fact and fiction, truth and memory. Even as she refuses to discuss the question of her daughter’s death with Sam, Clare is writing a book about it, a novel drawing explicitly and often literally on the truth, in which she seeks to create a second self, capable of giving shape to the things she cannot quite admit to herself. Likewise Sam, whose elisions and withholdings at first seem merely an attempt to get close to Clare, turns out to be deeply and profoundly damaged, his self riven by a psychic dissonance that infects the book as a whole. Both in its depiction of the lingering and often irreparable effect of brutality on both a society and the individual and the fertile and often troubling way it blurs the line between fact and fiction Absolution deliberately refuses the consolations of resolution. Yet in a way that is the real achievement of this remarkable novel and its reminder of Faulkner’s dictum, that the past is never dead, it is not even past. First published in The Weekend Australian, 19 May 2012.